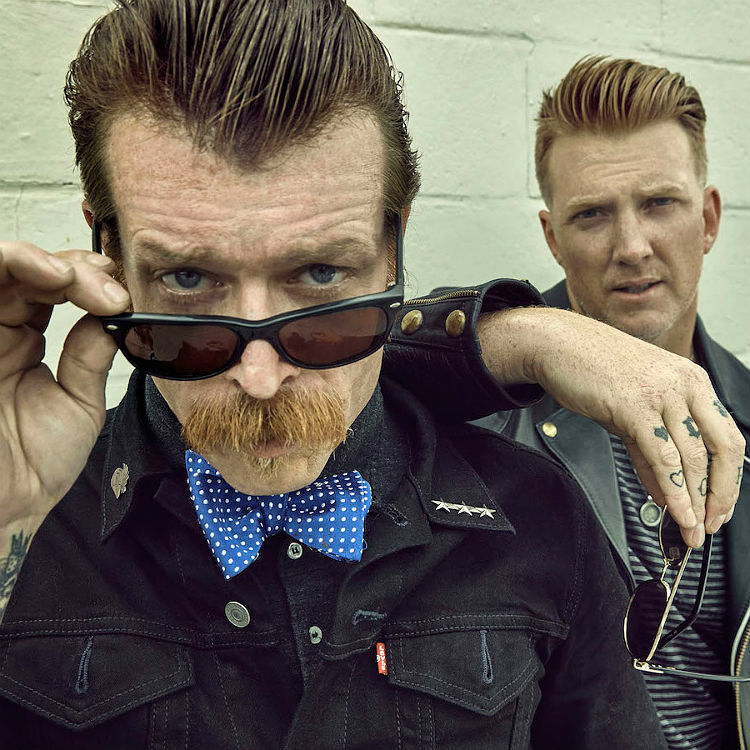 Even by rock star standards, Jesse Hughes has always been something of an anomaly. As a former Republican Party speechwriter and ordained pastor – albeit one in the non-denominational Universal Life Church who, for $50 let just about anyone be confirmed as a minister – his curriculum vitae has always suggested a far from conventional underdog. The way he tells it, he was the geek being bullied by the big guys at the pool party until a beefy young gentleman named Joshua Homme stepped in and offered – literally – a hand of friendship, that would in time lead him into the inner circle of Queens Of The Stone Age and then fronting his own band Eagles Of Death Metal.